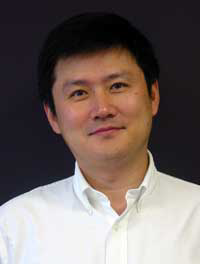 Dr Xiaofang Zhou is a Professor of Computer Science at The University of Queensland, Leader of UQ Data Science Research Group and an IEEE Fellow. Xiaofang received his BSc and MSc degrees in Computer Science from Nanjing University, China, and PhD in Computer Science from UQ. Before joining UQ in 1999, he worked as a researcher in Commonwealth Scientific and Industrial Research Organisation (CSIRO), leading its Spatial Information Systems group. His research focus is to find effective and efficient solutions for managing, integrating and analyzing very large amount of complex data for business, scientific and personal applications. He has been working in the area of spatiotemporal and multimedia databases, data mining, data quality management, high performance query processing, big data analytics and machine learning, co-authored over 300 research papers. He received Best Paper Awards of WISE 2012&2013, ICDE 2015, DASFAA 2016 and ADC 2019. He was the Program Committee Chair of Australasian Database Conferences (ADC 2002 and 2003), International Conference on Web Information Systems Engineering (WISE 2004), Asia Pacific Web Conferences (APWeb 2003 and 2006), International Conference on Databases Systems for Advanced Applications (DASFAA 2009, 2012 and 2015), International Conference on Cooperative Information Systems (CoopIS 2012), IEEE International Conference on Data Engineering (ICDE 2013), ACM International Conference on Information and Knowledge Management (CIKM 2016), International Symposium on Spatial and Temporal Databases (SSTD 2017) and International Conference on Very Large Databases (VLDB 2020). He is a General Co-Chair of ACM Multimedia Conference 2015, IEEE International Conference on Data Management (MDM 2018) and China Big Data Technology Conference 2017. He was a keynote speaker at WISE 2008, CIKM 2015, DEXA 2018 and MDM 2019. He has been on the program committees of numerous international conferences, often as a Senior PC member, including SIGMOD, VLDB, ICDE, WWW, ACM Multimedia, ICDM, ICDCS, ICDM, AAAI and SIGKDD. He was the Convenor and Director of ARC Research Network in Enterprise Information Infrastructure from 2004-2011 (a major national research collaboration initiative in Australia), and the founding chair of ACM SIGSPATIAL Australian Chapter from 2010-2011. Currently he is an Associate Editor of The World Wide Web Journal, Distributed and Parallel Databases, Knowledge and Information Systems, and Springer's Encyclopedia of Database Systems. He was the Chair of IEEE Technical Committee on Data Engineering (2015 - 2018). He is on the Steering Committees of ICDE, DASFAA, WISE, APWeb, Australasian Database Conferences and BigComp conferences. In the past he was an Associate Editor of The VLDB Journal (2008-2015), IEEE Data Engineering Bulletin, Information Processing Letters, IEEE Transactions on Knowledge and Data Engineering (2009 - 2015), and IEEE Transactions on Cloud Computing (2013-2019). "Reference-based Framework for Spatio-temporal Trajectory Compression and Query Processing", Yan Zhao, Kai Zheng, Defu Lian, Bolong Zheng, Guanfeng Liu and Xiaofang Zhou, IEEE Transactions on Knowledge and Data Engineering (accepted in April 2019). "Group based Recurrent Neural Networks for POI Recommendation", Guohui Li, Qi Chen, Bolong Zheng, Hongzhi Yin, Nguyen Quoc Viet Hung, Xiaofang Zhou, ACM Transactions on Data Science (accepted in Feb 2019). "Social Influence-based Group Representation Learning for Group Recommendation", Hongzhi Yin, Qinyong Wang, Kai Zheng, Zhixu Li, Jiali Yang and Xiaofang Zhou, ICDE 2019 (Best Paper Award). "Time-Dependent Hop Labeling on Road Network", Lei Li, Sibo Wang and Xiaofang Zhou, ICDE 2019. "A Hierarchical Framework for Top-k Location-aware Error-tolerant Keyword Search", Junye Yang, Yong Zhang, Xiaofang Zhou, Jin Wang, Huiqi Hu and Chunxiao Xing, ICDE 2019. "An Efficient Framework for Correctness-Aware kNN Queries on Road Networks", Dan He, Sibo Wang, Xiaofang Zhou and Reynold Cheng, ICDE 2019. "Moving Object Linking Based on Historical Trace", Fengmei Jin, Wen Hua, Jiajie Xu and Xiaofang Zhou. ICDE 2019. "Recurrent Convolutional Neural Network for Sequential Recommendation", Chengfeng Xu, Pengpeng Zhao, Yanchi Liu, Jiajie Xu, Victor Sheng, Zhiming Cui, Xiaofang Zhou and Hui Xiong, WWW 2019. "Discovering Correlations Between Sparse Features in Distant Supervision for Relation Extraction", Jianfeng Qu, Wen Hua, Dantong Ouyang, Yuxin Ye and Xiaofang Zhou. WSDM 2019. "Batch Processing of Shortest Path Queries in Road Networks", Mengxuan Zhang, Lei Li, Wen Hua and Xiaofang Zhou, ADC 2019 (Best Paper Runner-up Award). "Extracting Temporal Patterns From Large-Scale Text Corpus, Yu Liu, Wen Hua and Xiaofang Zhou, ADC 2019 (Best Paper Award). "SRA: Secure Reverse Auction for Task Assignment in Spatial Crowdsourcing", Minjun Xiao, Kai Ma, An Liu, Hui Zhao, Zhixu Li, Kai Zheng and Xiaofang Zhou, IEEE Transactions on Knowledge and Data Engineering (accepted in Jan 2019). "Personalized Video Recommendation Using Rich Contents from Videos", Xingzhong Du, Hongzhi Yin, Ling Chen, Yang Wang, Yi Yang and Xiaofang Zhou, IEEE Transactions on Knowledge and Data Engineering (accepted in Dec 2018). "Answering Why-Not Group Spatial Keyword Queries", Bolong Zheng, Kai Zheng, Christian S. Jensen, Nguyen Quoc Viet Hung, Han Su, Guohui Li and Xiaofang Zhou, IEEE Transactions on Knowledge and Data Engineering (accepted in Nov 2018). "Where to Go Next: A Spatio-Temporal Gated Network for Next POI Recommendation", P. Zhao, H. Zhu, Y. Liu, J. Xu, Z. Li, F. Zhuang, V. Sheng and X. Zhou, AAAI 2019. "Distributed Stream Rebalance for Stateful Operator Under Workload Variance", J. Fang, R. Zhang, Tom Z. J. Fu, Z. Zhang, A. Zhou and X. Zhou, IEEE Transactions on Parallel and Distributed Systems, 29(10): 2223-2240, 2018. "Exploiting Combination Effect for Unsupervised Feature Selection by l20 Norm", X. Du, F. Nie, W. Wang, Y. Yang and X. Zhou, IEEE Transactions on Neural Networks and Learning Systems (accepted in May 2018). "LC-RNN: A Deep Learning Model for Traffic Speed Prediction", Zhongjian Lv, Jiajie Xu, Kai Zheng, Pengpeng Zhao, Hongzhi Yin and Xiaofang Zhou, IJCAI 2018. "TPM: A Temporal Personalized Model for Spatial Item Recommendation", Hongzhi Yin, Weiqing Wang, Quoc View Hung Nguyen and Xiaofang Zhou, ACM Transactions on Intelligent Systems and Technology (accepted in April 2018). "Go Slow to Go Fast: Minimal On-Road Time Route Scheduling with Parking Facilities Using Historical Trajectory", Lei Li, Kai Zheng, Xiaofang Zhou, and Sibo Wang, In VLDB Journal (accepted in Feb 2018). "Joint Event-Partner Recommendation in Event-based Social Networks", Hongzhi Yin, Lei Zou, Quoc Viet Hung Nguyen, Zi Huang and Xiaofang Zhou, ICDE 2018. "Effective and Efficient User Account Linkage Across Location Based Social Networks", Wei Chen, Hongzhi Yin, Weiqing Wang, Lei Zhao and Xiaofang Zhou, ICDE 2018. "Incremental Graph Pattern based Node Matching", Guohao Sun, Guanfeng Liu, Yan Wang, Mehmet A. Orgun and Xiaofang Zhou, ICDE 2018. "ID Repair for Trajectories with Transition Graphs", Xingcan Cui, Xiaohui Yu, Xiaofang Zhou and Jiong Guo, EDBT 2018. "Spatial-Aware Hierarchical Collaborative Deep Learning for POI Recommendation", Yin, Hongzhi; Wang, Weiqing; Wang, Hao; Chen, Ling; Zhou, Xiaofang, IEEE Transactions on Knowledge and Data Engineering (accepted in August 2017). "Discrete Multi-modal Hashing with Canonical Views for Robust Mobile Landmark", Lei Zhu, Zi Huang, Xiaobai Liu, Xiangnan He, Jiande Sun and Xiaofang Zhou, IEEE Transactions on Multimedia, September 2017. "Bilinear Optimized Product Quantization for Scalable Visual Content AnalysisPublication", Litao Yu , Zi Huang , Fumin Shen , Jingkuan Song , Heng Tao Shen , Xiaofang Zhou, IEEE Transactions on Image Processing (accept in June 2017). "Minimal On Road Time Route Scheduling on Time-Dependent Graph", Lei Li, Wen Hua, Xingzhong Du and Xiaofang Zhou, VLDB 2017. "Clue-based Spatio-textual Query", Junling Liu, Ke Deng, Huanliang Sun, Yu Ge, Xiaofang Zhou and Christian S. Jensen, VLDB 2017. "Argument Discovery via Crowdsourcing", Nguyen Quoc Viet Hung, Duong Chi Thang, Nguyen Thanh Tam, Matthias Weidlich, Karl Aberer, Hongzhi Yin, Xiaofang Zhou. In VLDB Journal, 2017. "ST-SAGE: A Spatial-Temporal Sparse Additive Generative Model for Spatial Item Recommendation", Hongzhi Yin, Weiqing Wang, Ling Chen, Yihzou Sun, Shazia Sadiq and Xiaofang Zhou, ACM Transactions on Intelligent Systems and Technology (accepted in Oct 2016). "The Interaction between Schema Matching and Record Matching in Data Integration", Binbin Gu, Zhixu Li, An Liu, Guanfeng Liu, Kai Zheng, Xiangliang Zhang and Xiaofang Zhou, IEEE Transactions on Knowledge and Data Engineering (accepted in Sept 2016). "Adapting to User Interest Drift for POI Recommendation", Hongzhi Yin, Xiaofang Zhou, Bin Cui, Hao Wang, Kai Zheng and Quoc Viet Hung Nguyen, IEEE Transactions on Knowledge and Data Engineering (accepted in June 2016). "Possible and Certain Keys for SQL", Henning Koehler, Uwe Leck, Sebastian Link and Xiaofang Zhou, VLDBJ (accepted in May 2016). "Understand Short Texts by Harvesting and Analyzing Semantic Knowledge", W. Hua, Z. Y. Wang, H. Wang, K. Zheng and X. Zhou, IEEE Transactions on Knowledge and Data Engineering (accepted in May 2016). "Understanding Information Diffusion under Interactions", Y. Su, X. Zhang, P. S. Yu, W. Hua, X. Zhou and B. Fang, IJCAI 2016. "Using Detected Visual Objects to Index Video Database", X. Du, H. Yin, Z. Huang, Y. Yang, X. Zhou, ADC 2016: 333-345 (Best Paper Award). "Access Time Oracle for Planar Graphs", K. Deng, J. Li, C. Peng, J. Li and X. Zhou, in IEEE Transactions on Knowledge and Data Engineering (accepted in March 2016). "A Spatial-Temporal Topic Model for the Semantic Annotation of POIs in LBSNs", T. He, H. Yin, Z. Chen, X. Zhou, S. Sadiq and B. Luo, ACM Transactions on Intelligent Systems and Technology (accepted in March 2016). "Optimizing Cost of Continuous Overlapping Queries over Data Streams by Filter Adaption", Q. Xie, X. Zhang, Z. Li and X. Zhou, in IEEE Transactions on Knowledge and Data Engineering (accepted in January 2016). "Joint Modeling of User Check-in Behaviors for Real-time Point-of-Interest Recommendation", Hongzhi Yin, Bin Cui, Xiaofang Zhou, Weiqing Wang, Zi Huang and Shazia Sadiq. ACM Transactions on Information Systems (accepted in January 2016). "Discovering Interpretable Geo-Social Communities for User Behavior Prediction", Hongzhi Yin, Zhiting Hu, Xiaofang Zhou, Hao Wang, Kai Zheng and Shazia Sadiq, ICDE 2016. "SPORE: A Sequential Personalized Spatial Item Recommender System", Weiqing Wang, Hongzhi Yin, Shazia Sadiq, Ling Chen, Min Xie and Xiaofang Zhou, ICDE 2016. "Keyword-Aware Continuous kNN Query on Road Networks", Bolong Zheng, Kai Zheng, Xiaokui Xiao, Han Su and Xiaofang Zhou, ICDE 2016. "Compound Rank-k Projections for Bilinear Analysis", Xiaojun Chang, Feiping Nie, Sen Wang, Yi Yang, Xiaofang Zhou and Chengqi Zhang, in IEEE Transactions on Neural Networks and Learning Systems (accepted in May 2015). "Modeling User Mobility for Location Promotion in Location-based Social Networks", Wen-Yuan Zhu, Wen-Chih Peng, Ling-Jyh Chen, Kai Zheng and Xiaofang Zhou, SIGKDD 2015. "Geo-SAGE: A Geographical Sparse Additive Generative Model for Spatial Item Recommendation", Weiqing Wang, Hongzhi Yin, Ling Chen, Yizhou Sun, Shazia Sadiq and Xiaofang Zhou, SIGKDD 2015. "Possible and Certain SQL Keys", Henning Koehler, Sebastian Link and Xiaofang Zhou, VLDB 2015. "TRIP: An Interactive Retrieving-Inferring Data Imputation Approach", Zhixu Li, Lu Qin, Hong Cheng, Xiangliang Zhang and Xiaofang Zhou, in IEEE Transactions on Knowledge and Data Engineering (accepted in February 2015). "A Novelty-Seeking based Dining Recommender System", Fuzheng Zhang, Kai Zheng, Nicholas Jing Yuan, Xing Xie, Enhong Chen and Xiaofang Zhou, WWW 2015, Florence, Italy, May 2015. "Dynamic User Modeling in Social Media Systems", Hongzhi Yin, Bin Cui, Ling Chen, Zhiting Hu and Xiaofang Zhou, ACM Transactions on Information Systems, accepted in Nov 2014. "A Convex Formulation for Spectral Shrunk Clustering", Xiaojun Chang, Feiping Nie, Zhigang Ma, Yi Yang and Xiaofang Zhou, AAAI 2015. "Data Driven Approach for Discovering Data Quality Requirements", Ruojing Zhang, Vimukthi Jayawardene, Marta Indulska, Shazia Sadiq and Xiaofang Zhou, International Conference on Information Systems (ICIS 2014). "Semi-Supervised Feature Selection via Spline Regression for Video Semantic Recognition", Y. Han, Y. Yang, Z. Ma, Y. Yan, N. N. Sebe and X. Zhou, IEEE Transactions on Neural Networks and Learning Systems (accepted in March 2014). "Best Keyword Cover Search", K. Deng, X. Li, J. Lu and X. Zhou, in IEEE Transactions on Knowledge and Data Engineering (accepted in May 2014). "Maximum Error-bound Piecewise Linear Representation for Online Stream Approximation", Q. Xie, C. Pang, X. Zhou, X. Zhang and K. Deng, The VLDB Journal (accepted in March 2014). "Augmenting Image Descriptions Using Structured Prediction Output", Y. Han, X. Wei, X. Cao, Y. Yang and X. Zhou, in IEEE Transactions on Multimedia (accepted in Jan 2014). "Spatio-temporal Event Modeling and Ranking", Xuefei Li, Hongyun Cai, Zi Huang, Yang Yang and Xiaofang Zhou, 14th International Conference on Web Information System Engineering (WISE 2013), October 13th-15th, 2013, Nanjing, China. (Best Paper Award). "CrowdPlanner: A Crowd-Based Route Recommendation System", Han Su, Kai Zheng, Jiamin Huang, Hoyoung Jeung, Lei Chen and Xiaofang Zhou, ICDE 2014, April 2014, Chicago, USA. "Online Discovery of Gathering Patterns over Trajectories", K. Zheng, Y. Zheng, J. Yuan, S. Shang and X. Zhou, in IEEE Transactions on Data and Knowledge Engineering, 26 (8), 1974-1988, 2014. "Infrared Patch-image Model for Small Target Detection in a Single Image", Chenqiang Gao, Deyu Meng, Yi Yang, Yongtao Wang, Xiaofang Zhou and Alexander G. Hauptmann, in IEEE Transactions on Image Processing (accepted in Sept 2013). "Personalized Trajectory Matching in Spatial Networks", S. Shang, R. Ding, K. Zheng, C. Jensen, P. Kalnis and X. Zhou, The VLDB Journal (accepted in July 2013). "Calibrating Trajectory Data for Similarity-based Analysis", H. Su, K. Zheng, H. Wang, J. Huang and X. Zhou, SIGMOD 2013, June 2013, New York, USA. "Co-Regularized Ensemble for Feature Selection", Y. Han, Y. Yang and X. Zhou, IJCAI 2013, 3-9 August 2013, Beijing, China. "Clustering-Guided Sparse Structural Learning for Unsupervised Feature Selection", Z. Li, J. Liu, Y. Yang, X. Zhou and H. Lu, in IEEE Transactions on Data and Knowledge Engineering (accepted in April 2013). "Responsibility Analysis for Lineages of Conjunctive Queries with Inequalities", B. Qin, S. Wang, X. Zhou and X. Du, in IEEE Transactions on Data and Knowledge Engineering (accepted in April 2013). "AML: Efficient Approximate Membership Localization within a Web-Based Join Framework", Z. Li, L. Sitbon, L. Wang, X. Zhou and X. Du, IEEE Transactions on Knowledge and Data Engineering, 25(2):298-310, 2013. "Computing Unrestricted Synopses under Maximum Error Bound", C. Pang, Q. Zhang, X. Zhou, D. Hansen, S. Wang and A. Maeder, Algorithmica, 65(1):1-42, 2013. "Discriminative Nonnegative Spectral Clustering with Out-of-Sample Extension", Yang Yang, Yi Yang, Yanchun Zhang, Xiaoyong Du, Heng Tao Shen and Xiaofang Zhou, in IEEE Transactions on Data and Knowledge Engineering (accepted in June 2012). "Finding Alternative Shortest Paths in Spatial Networks", Kexin Xie, Ke Deng, Shuo Shang, Kevin Zheng and Xiaofang Zhou, in ACM Transactions on Database Systems, 37(4):29, December 2012. "Structure Tensor Series-based Large Scale Near-Duplicate Video Retrieval", X. M. Zhou, X. Zhou, L. Chen, IEEE Transactions on Multimedia, 14(4):1220-1233, 2012. "Discovering the Most Influential Sites over Uncertain Data: A Rank Based Approach", K. Zheng, Z. Huang, A. Zhou and X. Zhou, IEEE Transactions on Knowledge and Data Engineering, 24(12):2156-2169, 2012. "On Group Nearest Group Query Processing", K. Deng, S. Sadiq, X. Zhou, H. Xu, G. Fung and Y. Lu, IEEE Transactions on Knowledge and Data Engineering, 24(2):295-308, 2012. "Unsupervised Feature Selection Using Nonnegative Spectral Analysis", Zechao Li, Yi Yang, Jing Liu, Xiaofang Zhou, Hanqing Lu, AAAI 2012, July 2012, Toronto,Canada. "Spatial Query Processing for Fuzzy Objects", Kai Zheng, Xiaofang Zhou, Pui Cheong Fung and Kexin Xie, The VLDB Journal, 21(5):729-751, 2012. "Reducing Uncertainty of Low-Sampling-Rate Trajectories", K. Zheng, Y. Zheng, X. Xie and X. Zhou, ICDE 2012, April 2012, Washington DC, USA. "Effective Data Density Estimation in Ring-based P2P Networks", M. Zhou, H. T. Shen, X. Zhou and W. Qian, ICDE 2012, April 2012, Washington DC, USA. "Efficient Subsequence Matching Over Large Video Databases", X. M. Zhou, X. Zhou, L. Chen and A. Bouguettaya, The VLDB Journal, 21(4):489-508, 2012. "Location Significance Ranking from Quality Enhanced Trajectory Data", X. Zhou, Joint Conference of the Sixth International Conference on Embedded and Multimedia Computing and the 4th International Conference on Human-Centric Computing (HumanCom/EMC 2011), August 2011, Enshi, China (Keynote speech). "Making Sense of Trajectory Data", X. Zhou, 1st IEEE International Conference on Spatial Data Mining and Geographical Knowledge Services, June 2011, Fuzhou, China (Keynote speech). "Nonnegative Spectral Clustering with Discriminative Regularization", Y. Yang, R. Ji, F. Nie, H. T. Shen and X. Zhou, AAAI 2011, August 2011, San Francisco, USA. "L21-Norm Regularized Discriminative Feature Selection for Unsupervised Learning", Y. Yang, H. T. Shen, Z. Ma, Z. Huang and X. Zhou, IJCAI 2011, July 2011, Barcelona, Spain. "Efficient Parallel Skyline Processing using Hyperplane Projections", H. Koehler, J. Yang and X. Zhou, SIGMOD 2011, June 2011, Athens, Greece. "Effective Data Co-Reduction for Multimedia Similarity Search", Z. Huang, H. T. Shen, J. Liu and X. Zhou, SIGMOD 2011, June 2011, Athens, Greece. "SPARK2: Effective and Efficient Keyword Search on Relational Databases", Y. Luo, W. Wang, X. Lin, X. Zhou and J. Wang, IEEE Transactions on Knowledge and Data Engineering, 23(12):1763-1780, 2011. "Probabilistic Range Queries for Uncertain Trajectories on Road Networks", K. Zheng, G. Trajcevski, X. Zhou and P. Scheuermann, EDBT 2011, March 2011, Sweden. "Discovering Popular Routes from Trajectories", Z. Chen, H. T. Shen and X. Zhou, ICDE 2011, April 2011, Hanover, Germany. "Fuzzy Nearest Neighbour Query Processing", X. Zhou and K. Zheng, National Database Conference of China (NDBC 2010), Beijing (Keynote speech). "Exploring Distributional Discrepancy for Multi-dimensional Point Set Retrieval", J. Shao, H. T. Shen, Z. Huang and X. Zhou, IEEE Transactions on Multimedia, 13(1): 71-81, 2011. "Practical Online Near-duplicate Subsequence Detection for Continuous Video Streams", Z. Huang, H. T. Shen, J. Shao, B. Cui and X. Zhou, IEEE Transactions on Multimedia, 12(5): 386-398, 2010. "Mining Near-duplicate Graph for Cluster-based Re-ranking of Web Video Search Results", Z. Huang, B. Hu, H. Cheng, H. T. Shen, H. Liu and X. Zhou, ACM Transactions on Information Systems, 28(4): 22, 2010. "Building the World from Views", X. Zhou and H. Koehler, WAIM 2010, Chengdu, China (Keynote Speech). "Providing Built-in Keyword Search Capabilities in RDBMS", G. Li, J. Feng, X. Zhou and J. Wang, The VLDB Journal, 20(1): 1-19, 2011. "Path Prediction and Predictive Range Querying in Road Network Databases", H. Jeung, M. L. Yiu, X. Zhou and C. S. Jensen, The VLDB Journal, 19(4):585-602, 2010. "K-Nearest Neighbor Search for Fuzzy Objects", K. Zheng, P.-C. Fung and X. Zhou, SIGMOD 2010, June 2010, Indianapolis, USA. "Sampling Dirty Data for Matching Attributes", H. Koehler, X. Zhou, S. Sadiq, Y. Shu and K. Taylor, SIGMOD 2010, June 2010, Indianapolis, USA. "Searching Trajectories by Locations - An Efficiency Study", Z. Chen, H. T. Shen, X. Zhou, Y. Zheng, X. Xie, SIGMOD 2010, June 2010, Indianapolis, USA. "Adaptive Subspace Symbolization for Content-based Video Search", X. M. Zhou, X. Zhou, L. Chen, Y. Shu, A. Bouguettaya and J. A. Taylor, IEEE Transactions on Knowledge and Data Engineering, 22(10): 1372-1387, 2010. "An Efficient Near-Duplicate Video Shot Detection Method Using Shot-Based Interest Points", X. M. Zhou, X. Zhou, L. Chen and A. Bouguettaya, N. Xiao and J. A. Taylor, IEEE Transactions on Multimedia, 11(5): 879-891, 2009. "Monitoring Path Nearest Neighbor in Road Networks", Z. Chen, H. T. Shen, X. Zhou, J. Yu, SIGMOD 2009, June 2009, Rhode Island, USA. "Duplicate-insensitive Order Statistics Computation over Data Streams", Y. Zhang, X. Lin, M. Kitsuregawa, X. Zhou, J. Yu and Y. Yuan, IEEE Transactions on Knowledge and Data Engineering, 22(4): 493-507, 2010. "Instant Advertising in Mobile Peer-to-Peer Networks", Z. Chen, H. T. Shen, Q. Xu and X. Zhou, ICDE 2009, April 2009, Shanghai, China. "Bounded Coordinate System Indexing for Real-time Video Clip Search", Z. Huang, H. T. Shen, J. Shao, X. Zhou and B. Cui, ACM Transactions on Information Systems, 27 (3), 2009. "Effective and Efficient Query Processing for Video Subsequence Identification", H. T. Shen, J. Shao, Z. Huang and X. Zhou, IEEE Transactions on Knowledge and Data Engineering, 21(3):321-334, 2009. "Instance Optimal Query Processing in Spatial Networks", K. Deng, X. Zhou, H. T. Shen, S. Sadiq and X. Li, The VLDB Journal, 18(3):675-693, 2009. "Locality Condensation: A New Dimensionality Reduction Method for Image Retrieval", Z. Huang, H. T. Shen, J. Shao, S. Rueger and X. Zhou, ACM Multimedia 2008, Vancouver, Canada. "Distribution-based Similarity Measures for Multi-dimensional Point Set Retrieval Applications", J. Shao, Z. Huang, H. T. Shen, J. Shen and X. Zhou, ACM Multimedia 2008, Vancouver, Canada. "Data Quality in Web Information Systems", X. Zhou, S. Sadiq and K. Deng, WISE 2008, Auckland, New Zealand (Keynote Speech). "Discovery of Convoys in Trajectory Databases", H. Jeung, M. L. Yiu, X. Zhou, C. S. Jensen and H. T. Shen, VLDB 2008, Auckland, New Zealand. "Speed Up Interactive Image Retrieval", H. T. Shen, S. Jiang, K.-L. Tan, Z. Huang and X. Zhou,The VLDB Journal, 18(1):329-344. 2009. "A Hybrid Prediction Model for Moving Objects", H. Jeung, Q. Liu, H. T. Shen, X. Zhou, ICDE 2008. "Batch Nearest Neighbor Search for Video Retrieval", J. Shao, Z. Huang, H. T. Shen, X. Zhou, E.-P. Lim and Y. Li, in IEEE Transactions on Multimedia, 10(3):409-420, 2008. "Localized Co-occurrence Model for Fast Approximate Search in Structure Databases", Z. Huang, H. T. Shen and X. Zhou, in IEEE Transactions on Knowledge and Data Engineering, 20(4):519-531, 2008. "SPARK: Top-k Keyword Query in Relational Databases", Y. Luo, X. Lin, W. Wang and X. Zhou, SIGMOD 2007, Beijing, China. "A Multi-resolution Surface Distribution Model for k-NN Query Processing", K. Deng, X. Zhou, H. T. Shen, Q. Liu, K. Xu and X. Lin, in The VLDB Journal, 17(5):1101-1119, 2008. "An Adaptive and Dynamic Dimensionality Reduction Method for High-dimensional Indexing", H. T. Shen, X. Zhou and A. Zhou, in The VLDB Journal, 16(2): 219-234, 2007. "Multi-source Skyline Query Processing in Road Networks", K. Deng, X. Zhou and H. T. Shen, ICDE 2007. "A Multiresolution Terrain Model for Efficient Visualization Query Processing", K. Xu, X. Zhou, X. Lin, H. T. Shen and K. Deng, in IEEE Transactions on Data and Knowledge Engineering, 18(10):1382-1396, October 2006. "Approximate Processing of Massive Continuous Quantile Queries over High Speed Data Streams", X. Lin, J. Xu, Q. Zhang, H. Lu, J. Yu, X. Zhou and Y. Yuan, in IEEE Transactions on Data and Knowledge Engineering, 18(5):683-698, May 2006. "Surface kNN Query Processing", K. Deng, X. Zhou, H. T. Shen, K. Xu and X. Lin, ICDE 2006, Atlanta, USA. "Towards Effective Indexing for Large Video Sequence Data", H. T. Shen, B. C. Ooi, X. Zhou and Z. Huang, SIGMOD 2005, Baltimore, USA. "Direct Mesh: a Multiresolution Approach to Terrain Visualization", K. Xu, X. Zhou and X. Lin, ICDE 2004, Boston, USA. "Multiscale Histograms: Summarizing Topological Relations in Large Spatial Datasets", X. Lin, Q. Liu, Y. Yuan and X. Zhou, VLDB 2003, Berlin, Germany. [ARC Linkage Project, $330K] Real-time Analytics on Urban Trajectory Data for Road Traffic Management, 2019-2022. [Advance Queensland Platform Technology Program, $5.4M] Redback Smart Monitoring Platform, 2018 -2023. [UQ Strategic Funding, $1.7M] Transport and Population Research Network, 2017 - 2021. [ARC Discovery Project $352K] Managing Data with High Redundency and Low Value Density, 2017-2019. [ARC Discovery Project $494K] Indexing Large Video Databases to Support Efficient Query Processing, 2015-2017. [ARC Linkage Infrastructure, equipment and Facilities Project $1M] FlashLite: a high performance machine for data intensive science, 2014. [ARC Discovery Project $452K] Declaration, Exploration, Enhancement and Provenance: The DEEP Approach to Data Quality Management Systems, 2014-2016. [ARC Linkage Project $660K] In-memory Moving Objects Analytics for Real-time Business Applications, 2013 - 2016. [ARC Discovery Project $330K] Detection of Location Significance from Quality Enhanced Trajectory Data, 2012-2014. [ARC Discovery Project $300K] Making Sense of Trajectory Data: a Database Approach, 2011-2013. [UQ Vice Chancellor's Strategic Fund $640K] Managing Data Quality in Next Generation Information Infrastructure, 2009-2013. [Microsoft Research Asia Internet Services Award $23K] Mining Location Association Patterns Between Web Queries and Documents, 2009. [ARC Discovery Project $340K] Analyzing Uncertain Data: Probabilistic Approaches, 2009-2011. [ARC Linkage Project $360K] Enhancement, Integration and Access Services for Smarter, Collaborative and Adaptive Whole-of-Water-Cycle Management, 2008 - 2010. [CSIRO Flagship Program $189K] Query Feedback Based Integration of Distributed Scientific Data Sources, 2008 - 2009. [ARC Centre $3.3M] ARC Centre of Excellence in Bioinformatics (ACB), 2008-2010 (extension and upgrade to ARC Centre for Bioinformatics). [ARC Discovery Project $210K] Efficient Similarity Query Processing in High Dimensional Databases, 2006-2008. [ARC Discovery Project $310K] Computing Order Statistics over Data Streams, 2006-2008. [ARC Research Network $3.2M] ARC Research Network in Enterprise Information Infrastructure (EII), 2004-2009. [General Co-Chair] The 23rd Anniversary ACM Multimedia Conference (ACM Multimedia 2015), November 2015, Brisbane, Australia. [PC Group Leader] SIGMOD 2015. [PC Co-Chair] The 29th International Conference on Data Engineering (ICDE 2013), 8-12 April 2013, Brisbane, Australia. [PC Co-Chair] The 20th International Conference on Cooperative Information Systems (CoopIS 2012), Sept 2012, Roma, Italy. [PC Co-Chair] The 23rd International Conference on Database and Expert Systems Applications (DEXA 2012), 2012. [PC Co-Chair] The 17th International Conference on Database Systems for Advanced Applications (DASFAA 2012), 15-18 April 2012, Busan, Korea. [PC Member] ACM Multimedia 2011, November 2011, Arizona, USA. [PC Co-Chair] The 22nd International Conference on Database and Expert Systems Applications (DEXA 2011), August 29 - September 2, 2011, Toulouse, France. [PhD Symposium Co-Chair] The 20th International World Wide Web Conference (WWW 2011), 28 March - 1 April 2011, Hyderabad, India. [PhD Program Co-Chair] The 36th International Conference on Very Large Databases (VLDB 2010), 13-17 Sept 2010, Singapore. [General Chair] International Workshop on Location Based Social Networks (LBSN'09 and LBSN'10), in conjunction with The 17th/18th ACM SIGSPATIAL International Conference on Advances in Geographic Information Systems, 4-6 Nov, 2009, Seattle, USA. [General Co-Chair] The 12th Asia Pacific Web Conference (APWeb 2010), to be held in 6-8 April 2010, Busan, Korea. [PC Co-Chair] The 14th International Conference on Database Systems for Advanced Applications (DASFAA 2009), April 2009, Brisbane, Australia. [PC Member] The 26th International Conference on Data Engineering (ICDE 2010), April 2010, LA, USA. [PC Member] The 35th International Conference on Very Large Databases (VLDB 2009), 24-28 August 2009, Lyons, France. [PC Member] The 18th International World Wide Web Conference (WWW 2009), 20-24 April 2009, Madrid, Spain. [PC Member] The 29th ACM SIGMOD International Conference on Management of Data (SIGMOD 2009), June 2009, Rhode Island, USA. [Vice PC Chair] The 25th International Conference on Data Engineering (ICDE 2009), March 2009, Shanghai, China. [Tutorial Chair and PC Member] The 34th International Conference on Very Large Databases (VLDB 2008), 24-30 August 2008, Auckland, New Zealand. [PC Member] The 28th ACM SIGMOD International Conference on Management of Data (SIGMOD 2008), Vancouver, Canada. [PC Member] The 17th International World Wide Web Conference (WWW 2008), 21-25 April 2008, Beijing, China. [PC Member] The 27th ACM SIGMOD International Conference on Management of Data (SIGMOD 2007), June 2007, Beijing, China. [PC Member] The 24th International Conference on Data Engineering (ICDE 2007), April 17-20, 2007, Istanbul, Turkey. [Workshop Chair and PC Member] The 23rd International Conference on Data Engineering (ICDE 2006), April 3-7, 2006, Atlanta, USA. [PC Member] The15th International Conference on World Wide Web (WWW 2006), May 23-26, 2006, Edinburgh, UK. [PC Member] The 10th International Conference on Extending DataBase Technology (EDBT 2006), 27-31 March, 2006, Munich, Germany. [PC Member] The 26th IEEE International Conference on Distributed Computing Systems (ICDCS 2006), July 4-7, 2006, Lisbon, Portugal. [Demo Chair and PC Member] The 22nd International Conference on Data Engineering (ICDE 2005), April 5-8, 2005, Tokyo, Japan.